Posted in: Daily Posts. 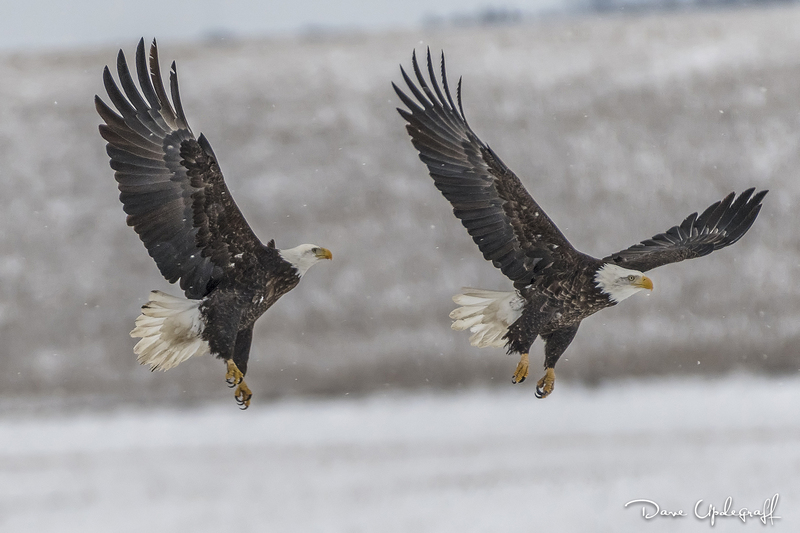 Tagged: Bald Eagles, Photography, Wildlife Photography. I don’t remember how long it’s been since we had sunshine in this part of the world but I do know it’s been way too long. I have three images for you today that were taken yesterday against a featureless gray sky in the middle of a snow shower. So those are pretty difficult conditions to take images of moving subjects with a long lens and expect great results. I had an all day event to attend yesterday and I left home about 30 minutes earlier than needed because a good friend of mine had told me of a gathering of eagles near a farm. 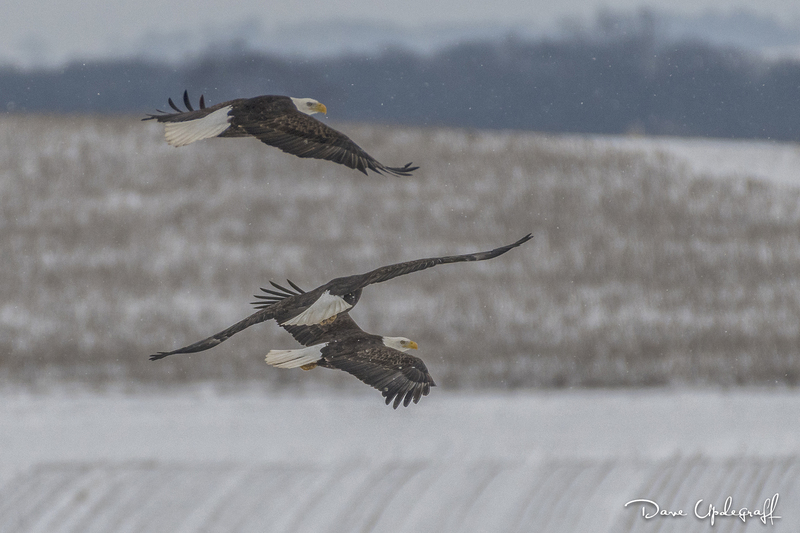 Since it was on the way to my event I thought I would take a chance and hope I could find some eagles. There were more than 30 eagles congregated at this table and like any family gathering there were squabbles and seating disagreements. But on the whole they were behaving reasonably. Hope you enjoyed the images. Thanks for stopping by the blog. Enjoy your day and be careful. WOW!!! 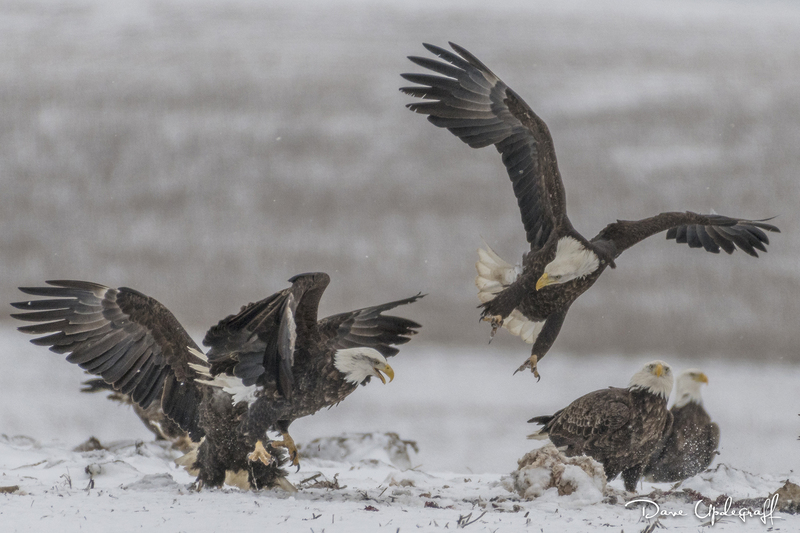 I totally agree that eagles are majestic no matter where they are, and I would be in awe if I ever even saw one of these birds, let alone an eagle party! How cool! Love your photo! Hi Laura. It is a true thrill just to be around them. They were on the endangered list a few years ago but thankfully they have come back in robust numbers. We see a lot of them in the winter time as they move farther South. I could spend the entire day around eagles and never get tired. Thank you for your kind words. Enjoy your blog and wish you all the best.